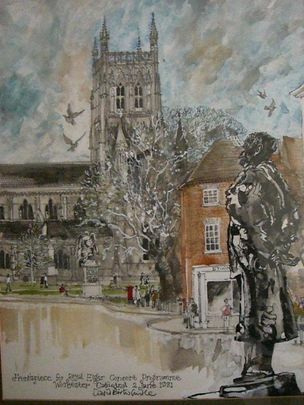 LOOKING FOR ANTIQUE DEALERS IN THE UK? 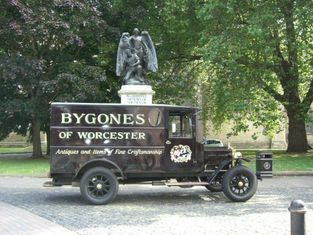 BYGONES is situated next to the main entrance to Worcester Cathedral (final resting place of King John and Henry VIII's elder brother Prince Arthur), close to the world famous Royal Worcester Porcelain Museum and opposite the statue of Worcester's most famous son, the composer Sir Edward Elgar. We supply Museums, Collectors, Decorators, and Dealers throughout the world. 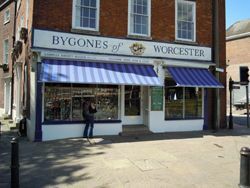 We are always interested in buying Antiques and objects from the past and offer free advice, a fair price and immediate payment for any of the treasures you may wish to sell. We travel widely and will be pleased to call on you by appointment.